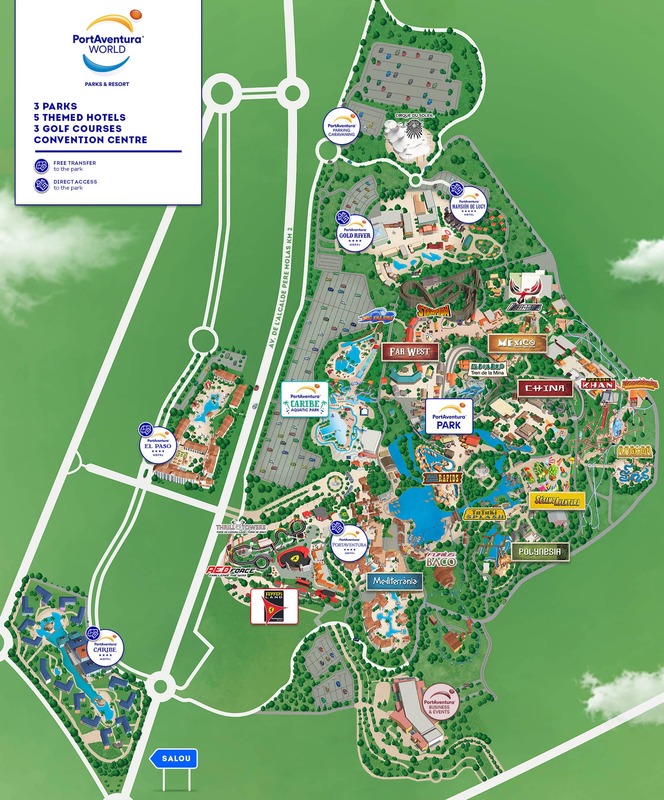 The Ferrari Land area with exclusive attractions especially for children. 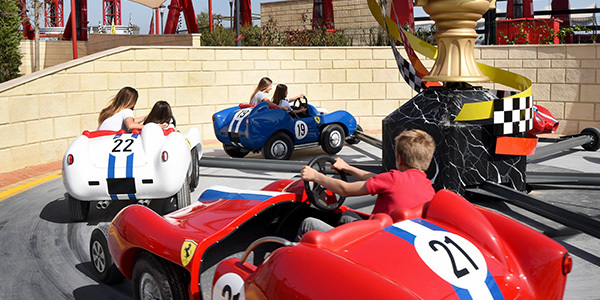 Children can’t miss out on the Ferrari Land Kids' Area, the ideal place for them to really enjoy Ferrari Land. Here our youngest visitors are the protagonists of this great adventure. 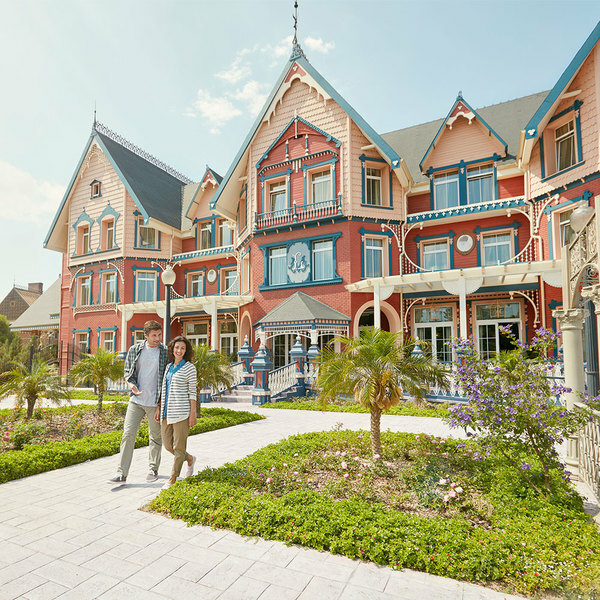 Make your dreams come true with five attractions designed exclusively for them. Fly over. 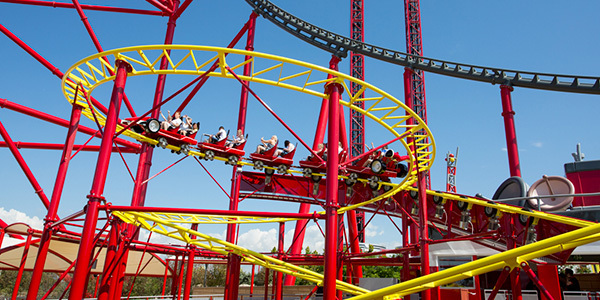 Feel the force of a real Ferrari as you spin like pistons inside its engine. Fantastically good fun! Have fun spinning around the axes of Crazy Pistons. 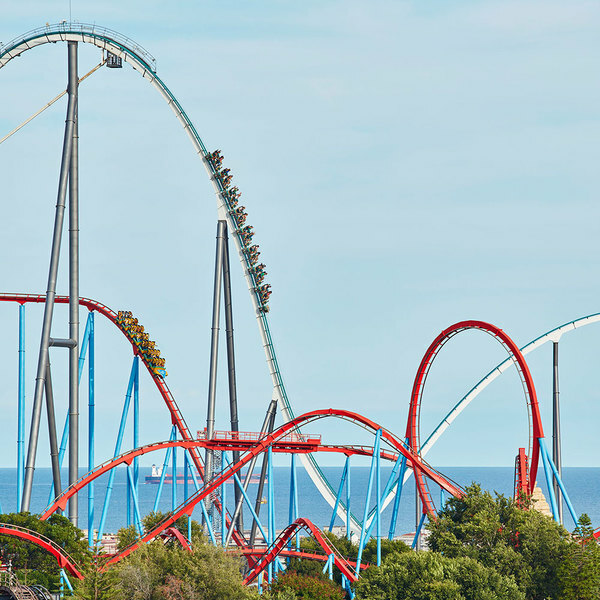 In Ferrari Land you’ll also find Junior Red Force, a roller coaster especially for the little ones. 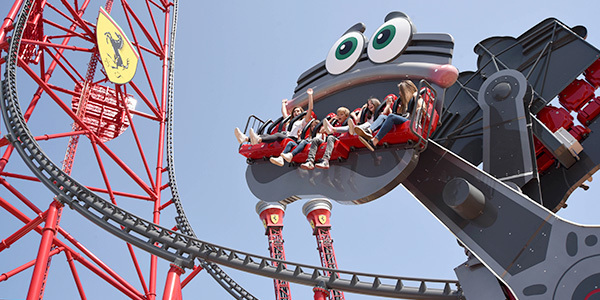 This mini roller coaster, heir to the iconic Red Force, allows children to experience pure adrenaline. Children’s free fall tower. 9 metres of bounce-back, twists and free fall for kids to experience the same sensations as the adults! Go up, down and around without stopping on Kids' Tower. The great competition. 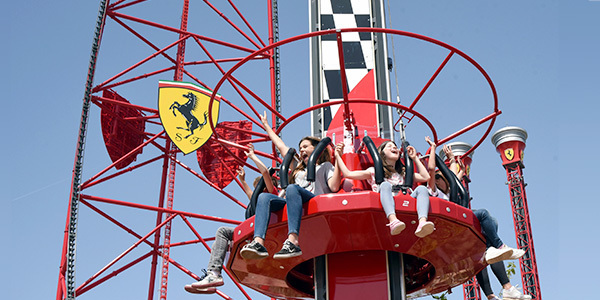 Enjoy family fun in a replica of the legendary Ferrari Testarossa 250. Who will win? On Champions Race you’ll feel like you’re driving a Ferrari classic, the Testarossa 250. 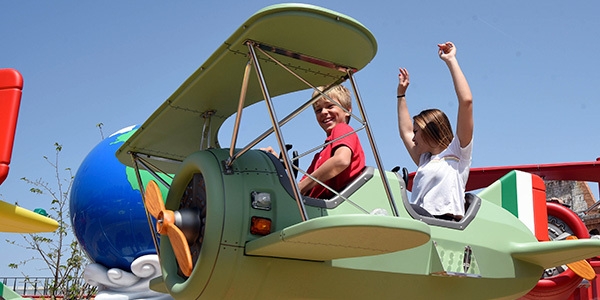 Pilot your own plane and fly amongst the clouds on Flying Race. Discover the fascinating story behind the birth of the Cavallino Rampante.